Rosemary Patricia Boggess, 80, carried the name ye’stad meaning “small rose” in the Lushootseed language. She was born on August 10, 1938 in Croydon, England to George and Alice Beavers. She loved traveling and making arts and crafts with her sister Jean (Mick) Adams. She looked forward to her regula visits with Jean in her homelands of England. Rosemary was sixteen years old when she married her sweetheart Donald Boggess on July 5, 1954. She met Donald in England where he was stationed in the Army and remained married for 42 years. They had two children including the late Britt Boggess and Scott Boggess. Rosemary leaves behind seven grandchildren Jason, Tonya, Jake, Brooke, Donald, Heather and Erik. She was always amazed at the sight of her great grandchildren who brought her so much joy, Preston, Mckynzie, Cameron, Jesse, Angelica, Chance, Charlie, Patience, Skyler, Kayelynn, Myles, Elliot, Maya, Kyle, Shaelyn, Deeanna, Valarie, Nolee, and Erik Jr.
Rosemary and Don made Tulalip their home for many years. Rosemary was well known for her ability to love and care for each person she met, especially children. 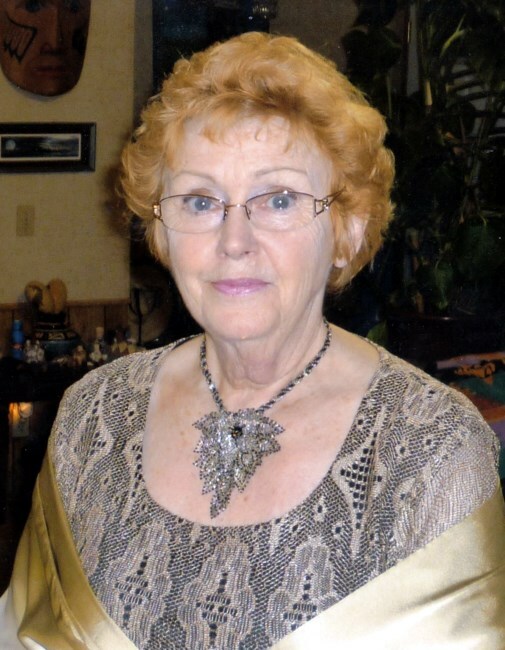 Her love and passion for children was exemplified when she was at work for the Marysville School District. She worked for the district for over 30 years as a speech pathologist and then as a school nurse. Children and families of Marysville and the Tulalip Tribes knew she had the best interest of their children. She attended sporting events, powwows, art festivals, concerts, fairs, stickgames, sweatlodge ceremonies and anything which connected her to a celebration of life, youth, and culture. She loved the Native American culture and enjoyed beading, crafts, baking, bargain shopping, and listening to Native stories and songs. Rosemary loved “her girls” Pixie Owyen and Nessie Hatch. She adopted additional grandkids Danika, Nate, Diana, Jeramiaha, Francis and Barbara. The Tulalip Tribes adopted her as an honorary Tulalip Tribal member. Rosemary felt blessed to have so many family and friends who loved her. She would want you to keep going, live life to the fullest, learn new things and never give up.